This year we are teaming up with a group of Buffalo artist to put together a RO wholesale line. I am very excited about this new venture and look forward to sharing with you all images and inspirations as it progresses. The visual above is the latest from my collection for Ro. I work mostly with linen and love the soft, natural qualities of the material. 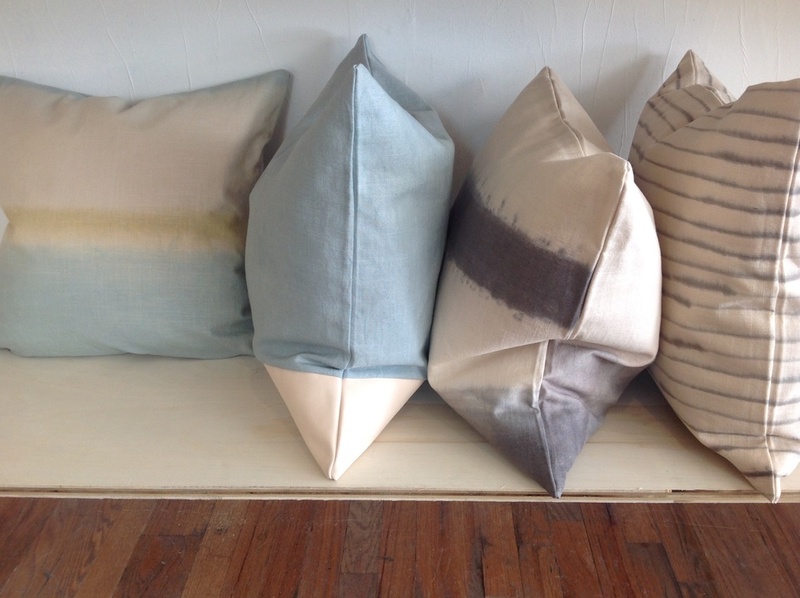 In this particular series the pillow colors and pattern reference a palette of the sunrise, sand, water, bark, bamboo. There are references to Norwegian design and also influences from Japanese culture. I explain my work as having a lyrical quality making the textiles infused with meaning. Our launch date for the line is April 3rd. All items will be for sale in shop and on our website. More details coming shortly.